SPA (JST-XH) adapter board with cables for connecting a second SPA balancing board in parallel to the board that comes standard with Cellpro PowerLab products. The SPA is a Single Port Safe Parallel Adapter; thermal fuses protect every cell in every pack connected to each adapter and there is no physical limit to the number of SPA's that may be daisy-chained together for parallel charging; however, if you intend to charge large quantities of battery packs in parallel, consider the MPA combos. This Combo include (1) SPA adapter for charging a single 2S to 8S lipo pack, (1) interface cable to daisy chain the SPA boards together and (1) stackable, 40A safety banana plug cable. 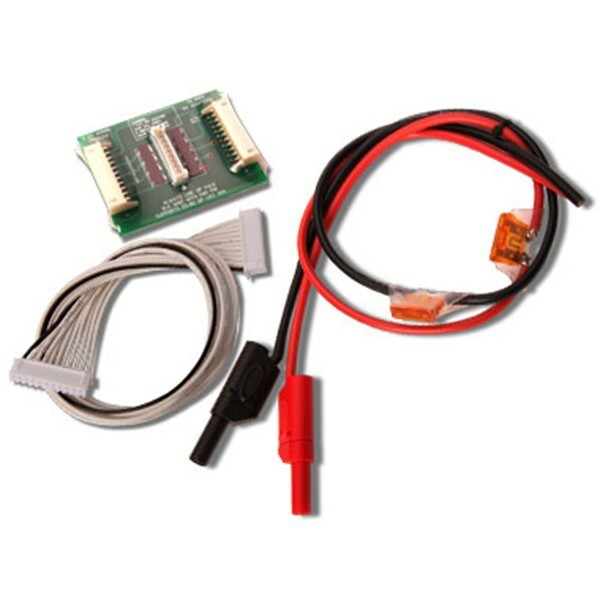 Use of this combo product will permit the user to parallel charge (2) 2S-8S lipo packs with JST-XH balancing connectors by attaching a single pack to each SPA adapter board. Batteries must be the same cell count when parallel charging.